The provenance of Wilh. 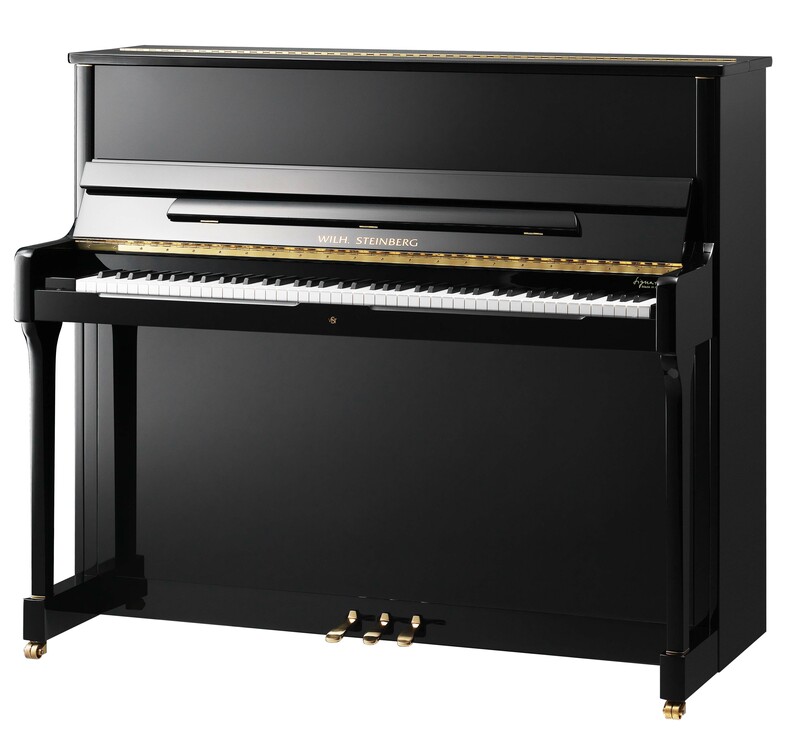 Steinberg grand pianos and uprights can be traced back to the piano builder family Geyer who founded their workshop in 1877 in Eisenberg, Germany. success. More than 140 years of experience combined with state-of-the-art piano building technologies ensures their promise for a nice, colourful sound and superior quality. All Wilh. Steinberg instruments are fitted with soundboards made from carefully selected solid spruce from Alaska. One should discover a strong, colourful sound and feel the craftsmanship in every move of one’s finger. Other models of the Signature Line are S117 and S130.